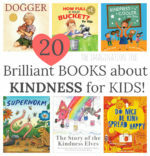 Want to teach your kids to be more kind and thoughtful this summer, while also having great fun with plenty of outdoor activities, crafts and play ideas? Want it all planned out for you so that you don’t have to do the work? Want it to be a little bit magical and jam-packed with memories too? Well then, HOORAY, Camp Kindness with the Kindness Elves is for you! What is Camp Kindness all about?! 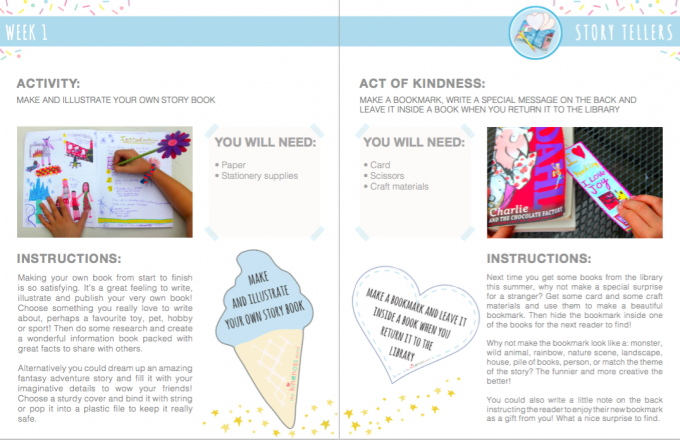 Buy your copy of Camp Kindness today at our special introductory price! 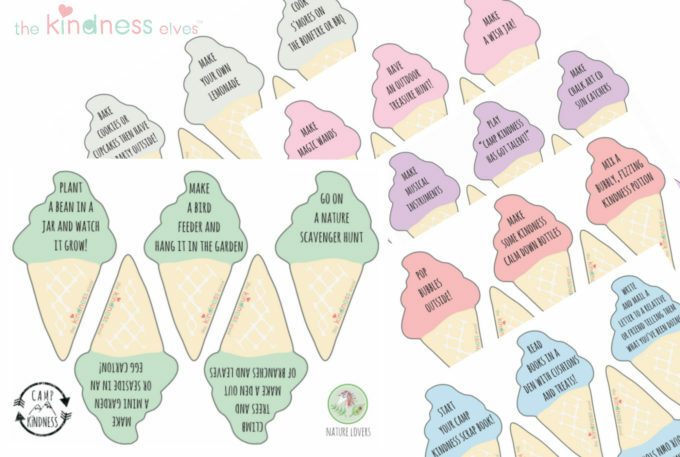 We are so excited to introduce our brand new Summer Camp for kids using the Kindness Elves, called Camp Kindness! 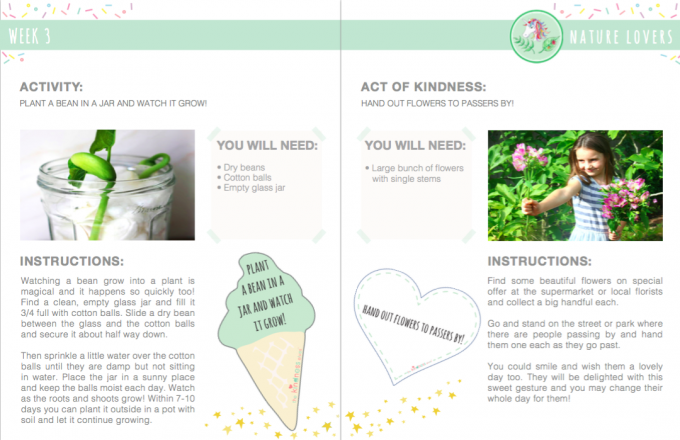 Camp Kindness is a fantastic, fun-filled, activity packed summer project for kids with a very important, wonderful twist! It is unique because of the underlying message of showing kindness and empathy towards others which runs throughout it. So not only is it full of great activities and crafts to keep kids playing and busy all through school break, it also contains a suggestion for an act of kindness to do together each day! That is 30 activities or crafts as well as 30 acts of kindness, 5 each for every week! 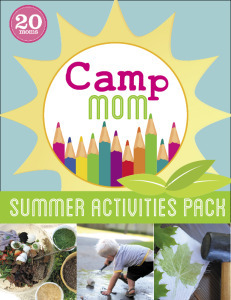 There’s plenty to keep young children busy, active and thoughtful all summer long. 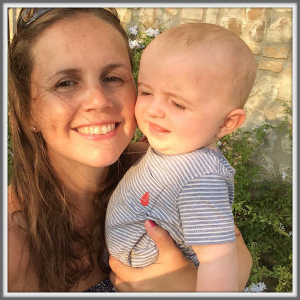 Our hope it that it will also give parents and carers a helping hand when planning out those long summer weeks as everything is planned and ready for you. You simply need to look at the materials checklist at the beginning of each week and print out our fantastic collection of printable cards, labels, lists and certificates all ready to go! We believe the best way to raise thoughtful, kind and generous children is through modelling and teaching these core values. 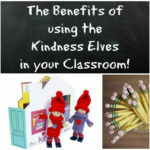 And using the Kindness Elves as part of this teaching process also increases the magic and fun, bringing this down to their level and engaging them in a perfectly age-appropriate way. Kids adore the friendliness of the little elves and can’t wait to see what they’ve suggested to do each day, both with their fun activity cards and acts of kindness suggestions too! Sometimes it’s more attractive and persuasive when it’s coming from magical little friends like these, rather than another request from an adult. 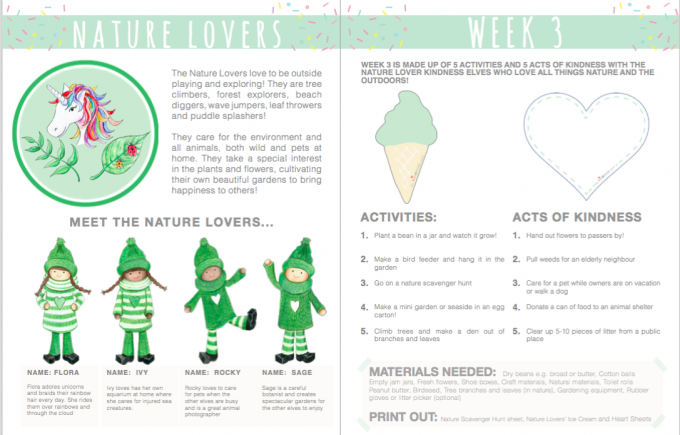 6 themed weeks of activities, crafts and acts of kindness ideas carefully organised week by week in an activity planner, with photos, lists and helpful how-to guides. These are all colour coded to help keep them super easy to find and follow. 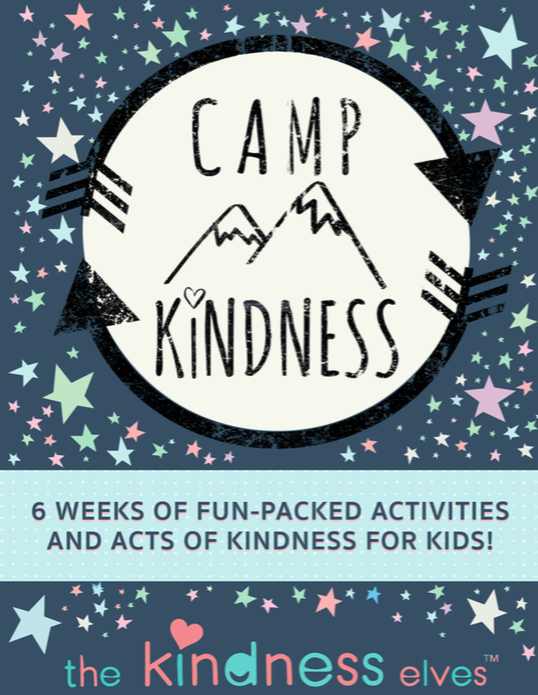 Camp Kindness is a simply BRILLIANT resource which is designed to keep your kids busy, active, creative and KIND, all summer long. It can be done in a family, with a group of friends or at a club or school. It does not need to be followed in a set order and you don’t need to complete all 6 weeks either. 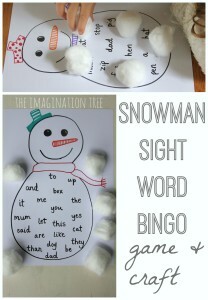 Save some ideas for another school break or special occasion too! You WILL need a set of Kindness Elves to participate as the ideas are set out each day as coming from them. The children also may write to them to let them know how they are getting on and will receive their certificates from the Kindness Elves at the end of the camp. We also recommend that you have the book that accompanies the Kindness Elves, called “The Story of the Kindness Elves” as this explains everything about them and is a lovely introduction to the world of the Kindness Elves! 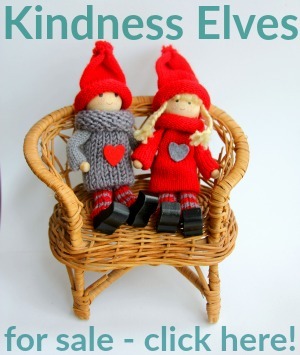 Visit our full collection over at our website The Kindness Elves. We simply can not WAIT to get started with you! 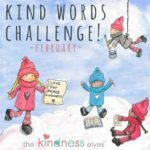 Please share as many pictures and stories with us as possible using hashtags #thekindnesselves and #campkindness so that we can cheer each other along and celebrate the wonderful kindness and positivity that we see flowing from our kids this summer! You can find our Kindness Elves Facebook Page here and our Kindness Elves Instagram account here too. Do you know someone else who would love this too? Maybe you could do the Camp with friends! Share resources, do the activities and acts of kindness on playdates and hold a Camp Pow Wow at the end of the time together. 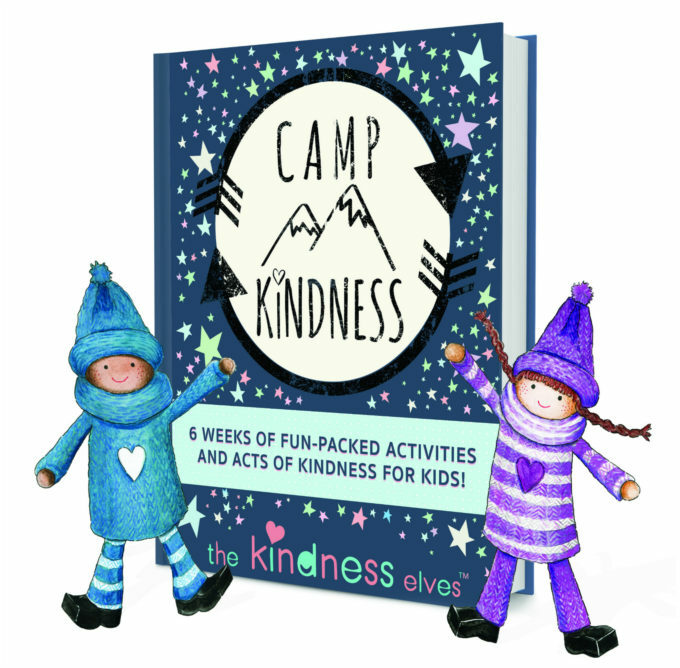 Download your copy of Camp Kindness today at the special introductory price of £5.99 (usual price £9.99) We can’t wait to have you join our Kindness Team!